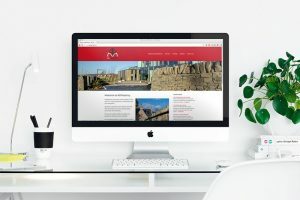 Andrew from AB Masonry contacted us looking for a new website for his stone masonry business, finding that our prices were more competitive than the big companies and that we offer a more bespoke and personal service we have built a great new website for Andrew. Including some photography to showcase the amazing work Andrew and his team do, Andrew also has the opportunity to update the website himself or as its included in our web building packages he can send the work to us to add for him. You can visit the AB Masonry Stone and Lime specialists website.